Kuna is a charming little city and is also the Gateway City to the Birds of Prey National Habitat Area. The growth Kuna has experienced the last several years extends its boundaries to just 4 miles from the city limits of Boise, but in no way has it lost it's small town charm! 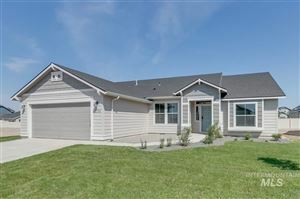 With vast views of rolling hills and fields, if you are looking for a new home, the lifestyle subdivisions provide, an agricultural lifestyle or just a nice rural place to live, Kuna has it all! Rooted as an agricultural area that is a rapidly growing and progressive community, supported by an active Chamber of Commerce, a sense of community pride, and a high level of citizen involvement, this community prides itself in good schools, responsive businesses, and fine churches. Kuna is an immensely family friendly community and this city is proud of it's heritage, and past accomplishments. Kuna welcomes you and invites you to make the move and join the city in helping make Kuna an even better place to live and work. The city's mission is to improve the quality of life in Kuna, promote economic well-being, provide excellence in service to our residents, encourage a culturally diverse community, and to preserve our past as we focus on our future.